Scribble Junkies: Drawing in motion.. 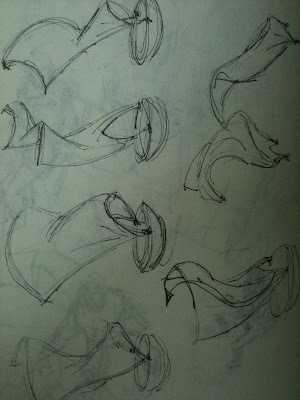 Fabric studies.. 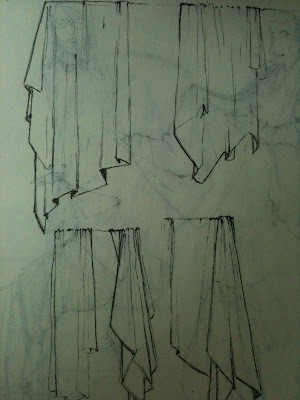 I did these ink sketchbook drawings during my "Drawing in Motion" class that I teach at Tisch.. fabric studies with a big fan, as well as draped from a figure and a board. 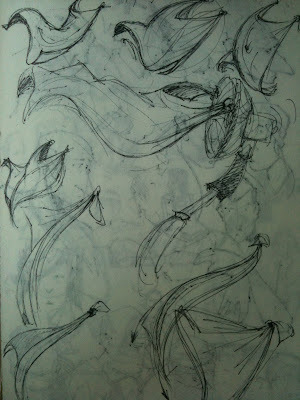 It's a great class that concentrates on capturing the motion and weight of figures and objects, and drawing from memory. It's something every animator must get really good at. Anyone who draws in public can relate to the advantage of seeing something for a split second and being able to capture it's gesture and energy! enjoy. Very interesting. 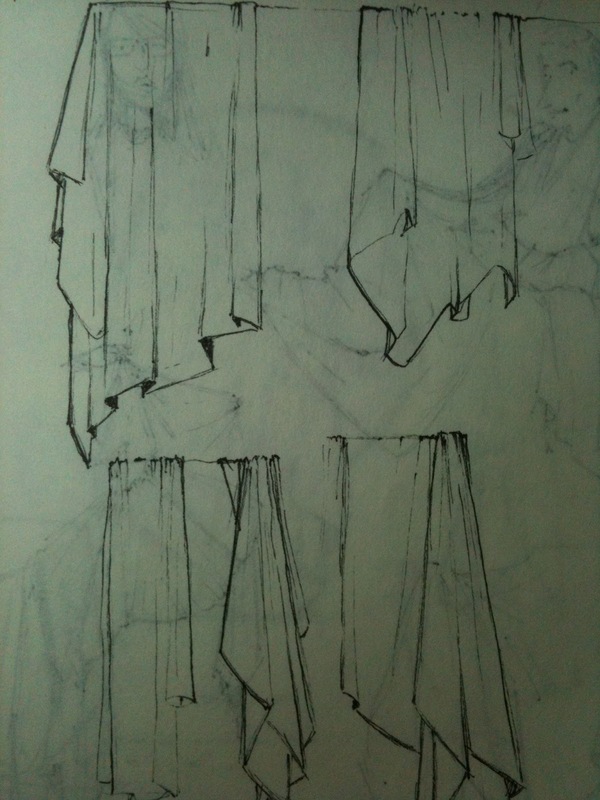 I've never tried drawing moving fabric in this way. yeah, it's a nice exercise since fabric has interesting lines of action, yet zero anatomy! Thanks for the tip and thank you sir for sharing this. 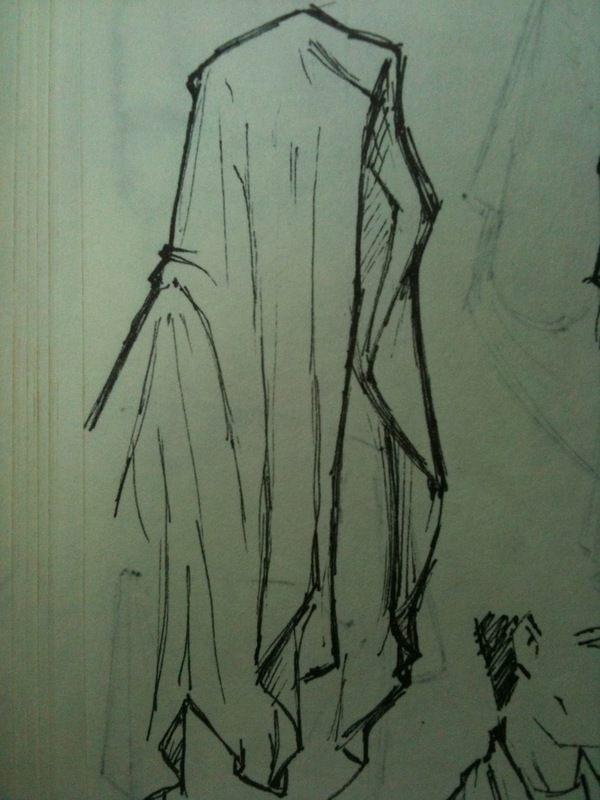 Im about to start animating a wizard who's clothed in some robes and I wasn't too sure how to approach it.